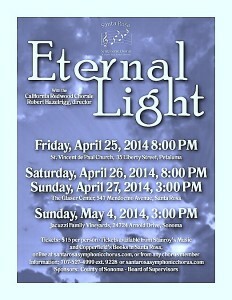 The Santa Rosa Symphonic Chorus will sing Morten Lauridsen’s “Lux Aeterna”, with chamber orchestra (no orchestra at Jacuzzi Family Vineyards). 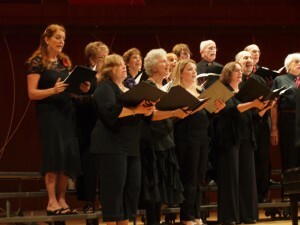 They will be joined by the California Redwood Chorale in singing Lauridsen’s “Sure on this Shining Night” and a beautiful arrangement of Marta Keen’s “Homeward Bound”. 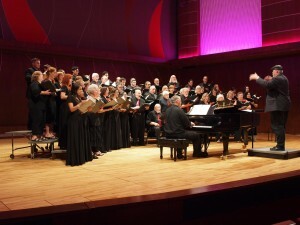 The California Redwood Chorale will perform Lauridsen’s “Dirait-on” and John Rutter’s “O! 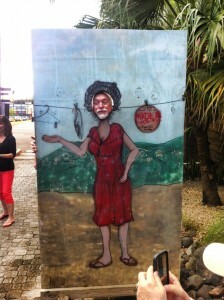 Clap Your Hands”. 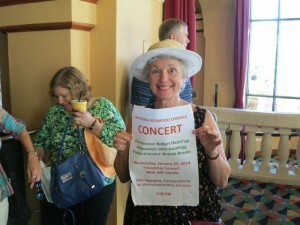 Both choruses will sing other pieces as well. 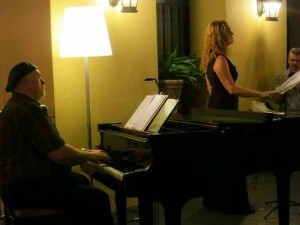 CRC sings with ARS VOCALIS at the Conservatory of Music in San Juan, Puerto Rico in Jan. 2014, conducted by Robert Hazelrigg with John Hazelrigg at the piano. 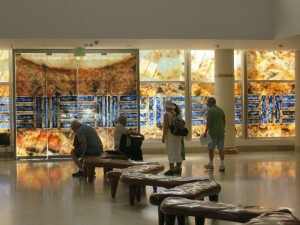 Students react to our performance at the Puerto Rican Museum of Art. 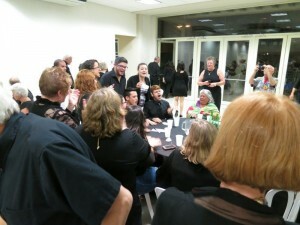 Dinner with Ars Vocalis in San Juan, Puerto Rico resulted in spontaneous singing! 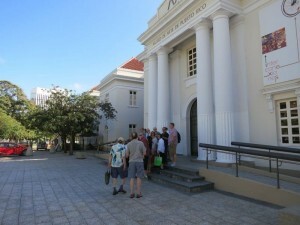 Gorgeous Conservatory of Music where we performed with Ars Vocalis. 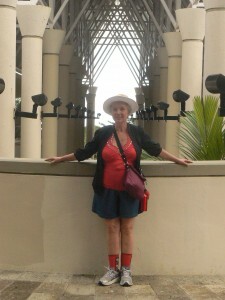 Gerry at El Yunque Rainforest visitor center. Gerry in “special” bar seat at Senor Frog’s in Old San Juan. 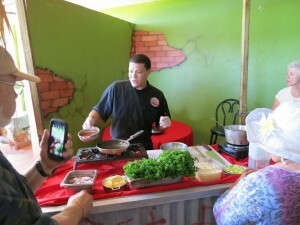 Robert looks fetching at our Cooking Class location. 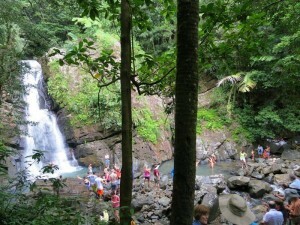 Our gang joins others in taking a dip at El Yunque Rainforest. 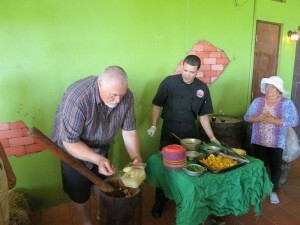 Chef teaching us at our cooking class at his restaurant in Dorado, Puerto Rico. 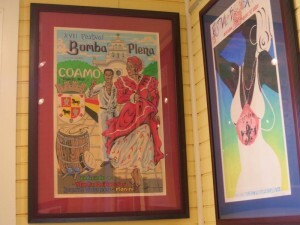 Poster art museum in Dorado, Puerto Rico. 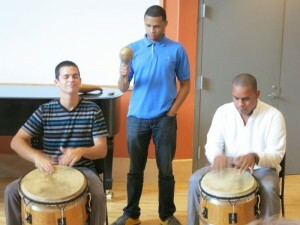 At our music workshop at the Conservatory of Music in San Juan. 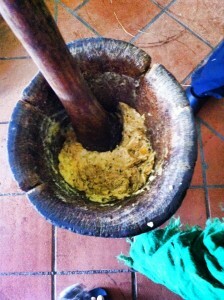 Mofongo….national dish made of cooked plantains..taken at our cooking class. 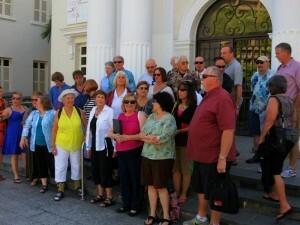 CRC sings at the Conservatory of Music in San Juan. 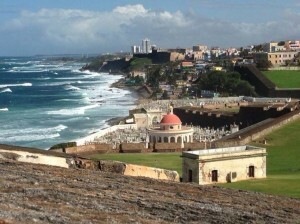 From El Morro fort in Old San Juan. 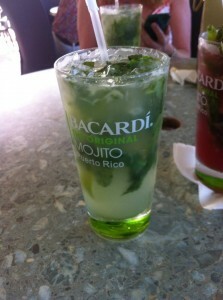 Delicious mojito at Bacardi Rum Factory. 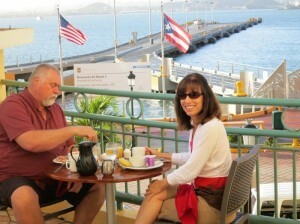 We loved our week in Puerto Rico. 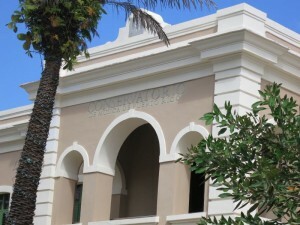 The Conservatory of Music in San Juan, Puerto Rico is an elegant and new state-or-the-art music school. We had a music workshop in the morning from the reknowned Willie Rivera, who serves on the faculty and also directs a very accomplished choir called Ars Vocalis. That evening, we gave a joint concert with Ars Vocalis in the the Conservatory concert hall. 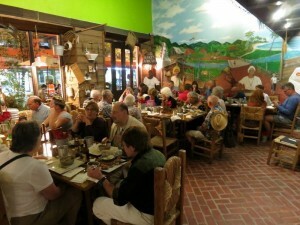 Both choirs celebrated by having a delicious dinner together after the concert. 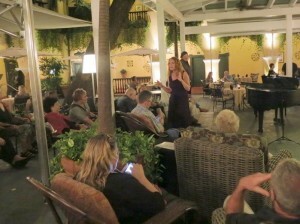 More spontaneous singing after dinner!! 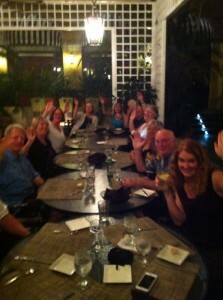 Dinner with Ars Vocalis in San Juan, Puerto Rico.